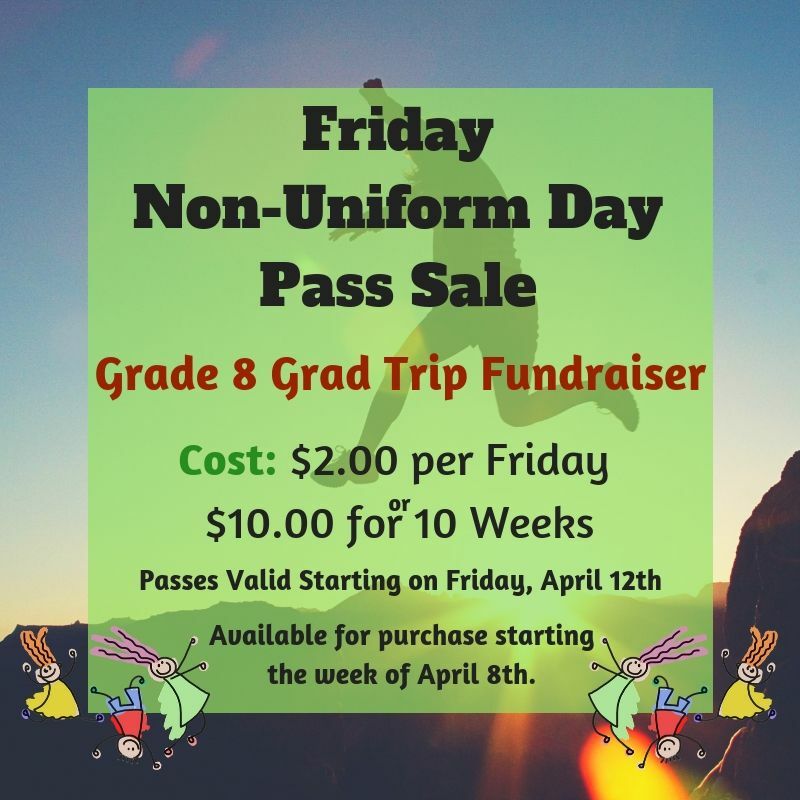 The Grade 8 class will be selling non-uniform passes the week of April 8th to help raise funds for their grad trip. The cost is $2.00 per pass or $10.00 for the rest of the school year (which will be worth 10 Fridays.) The passes will be valid on any Friday, starting April 12th. Classroom teachers will be collecting the money for the passes. Physical passes are only handed out for single Friday purchases (not for the $10.00 purchase).